Want to whiten your teeth at home? Good old-fashioned tooth brushing will get teeth clean by scrubbing away surface stains, but to remove deeper stains, people can turn to a dizzying array of products, from press-on whitening strips to gels that are painted on or used with a mouth guard. 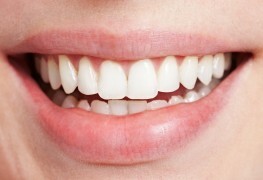 Most use some form of peroxide to whiten tooth enamel. Here are some reasons you should be careful with teeth whiteners. These products produce results in yellowish teeth, but not in brownish or grayish teeth. 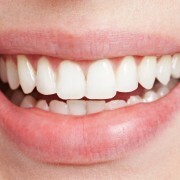 Researchers from the University of Michigan analyzed 25 clinical studies of at-home bleaching products containing carbamide or hydrogen peroxide and found that after two weeks of use, the whiteners worked better than no whitening treatment, and differences in efficacy were mainly due to differing levels of active ingredients. Many of the studies they examined, however, may have been biased because they were conducted or funded by the manufacturers of the products. The quest for a Hollywood smile also comes with a price. 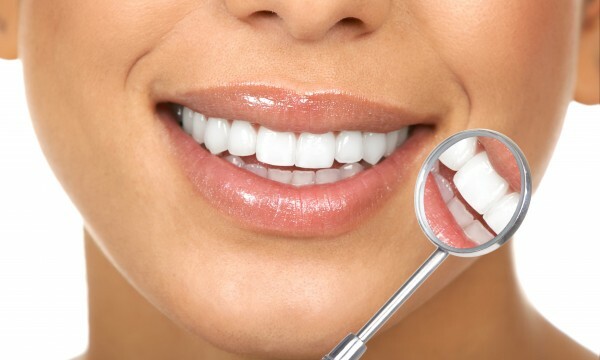 Up to 78 percent of people who use tooth bleaches experience sensitivity in their teeth while using whitening systems, with people who have receding gums faring the worst. Home bleaching gels are more likely to cause irritation than treatments at the dentist's office since the one-size-fits-all trays aren't customized to fit your mouth, potentially allowing peroxide to leak into soft tissue and gums. Overuse of bleaching products can also lead to inflamed gums, rough tooth enamel, splotchy teeth and a phenomenon known as "skim milk smile" (overbleached teeth that appear translucent blue or gray). Most symptoms disappear once the user stops bleaching. If your teeth become sensitive to cold air or liquids or tingle frequently, you've gone overboard. For the best whitening results, you may want to see your dentist. Professionally applied whiteners contain amounts of hydrogen peroxide ranging from 15 to 35 percent (home kits have about 10 percent) and are sometimes used with a laser to accelerate the whitening process. While home-use products are intended for use over a two- to four-week period, professional procedures are completed in about an hour. Some whitening toothpastes contain peroxide; others rely on "polishers" such as baking soda and silica. All toothpastes can make teeth look white by scrubbing off stains, but whitening toothpastes don't seem to provide much extra benefit. Consumer Reports tested 41 brands of toothpaste that claimed to whiten teeth and found none of them performed any better than regular toothpaste. Eat more fruits and vegetables. Raw vegetables and fibrous fruits like strawberries can help brighten teeth by removing stains.